Anchor Text: The actual words that have an embedded hyperlink. Credibility: Links from low quality or “spammy” websites reduce consumer trust in your website and plumbing business. Relevance: If it isn’t related to your industry, it takes away from the quality of the backlink. 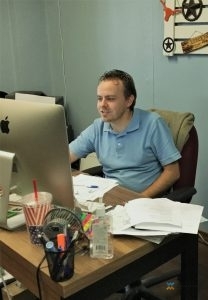 A website’s link profile captures a glance into its overall standing. A number of low-quality, spam-like links going towards your website creates a major red flag. In contrast, a group of high-quality, reputable links going towards your website indicates valuable trust. Many websites are somewhere in between. There are also sites that simply lack any inbound links at all, which makes them an unknown to search engines, but leaves room for opportunistic link building. Inbound link management is one of the many services we offer as part of our internet marketing plan. Contact Plumbing Webmasters at (877) 388-9884 to learn more about how quality backlinks have a positive impact on your website traffic and online conversion rate. Discussion Forums: When someone links to your website or blog as a reference point for industry related questions or topics. External Blogs: Blogs are effectively “endorsing” your content when they reference or link to your online materials. Listing Directories: Legitimate directories like Yelp and AngiesList show your business’ location, service information, and reviews of your service. Separate Websites: Other websites lend credibility to yours by sending their visitors to you for plumbing industry related information. The quality of an inbound link depends primarily on its source, but also on the nature of its formation. If someone joins a discussion forum to spam links to their website, Google will not look kindly on them. If the link appears once on a forum, in response to a question regarding a subject the page covers in its content, Google will see this as legitimate in most cases. It’s not always someone from your company that creates inbound links, and sometimes competitors will create spammy backlinks in an attempt to chip away at your credibility. Where Do Bad Backlinks Originate? 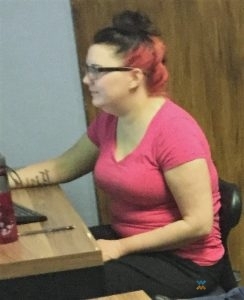 Fake Articles: Any article that appears to have a purpose but is over-stuffed with keywords and created for the sole purpose of building illegitimate SEO. Fake Directories: Spam directories that are built like review pages but take away from your contracting business’ online presence. Fake Forums: Fake accounts posting fake comments on forums, potentially spamming other users, erode trust in your plumbing company online. Spam Sites: Sites with low-quality content unrelated to your industry. One definite red flag is a sudden influx of backlinks. Going from 100 inbound links to 10,000 over the course of a day, or even a week, for example, is a clear indication of spam. Google will not look kindly on websites that willfully participate in such behavior and offer a Link Disavowal Tool to protect websites that are not compliant in these formations. 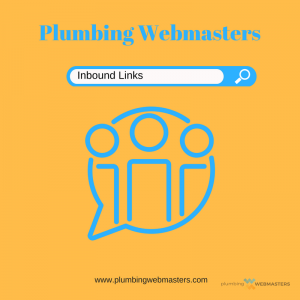 Call Plumbing Webmasters at (877) 388-9884 to learn more about content marketing and inbound link management for plumbers. Updated on April 1, 2019 at 1:39 pm by Plumbing Webmasters.